First make some brownies with laxatives in them. Before you give one to your victim get glue or some kind of adhesive or tacks. 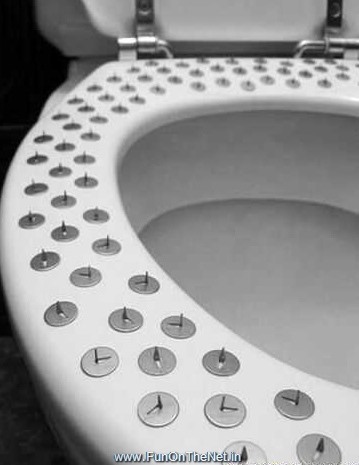 Put some on the toilet seat that he/she will be using. Give as many brownies to the victim and watch them get stuck to the toilet seat.